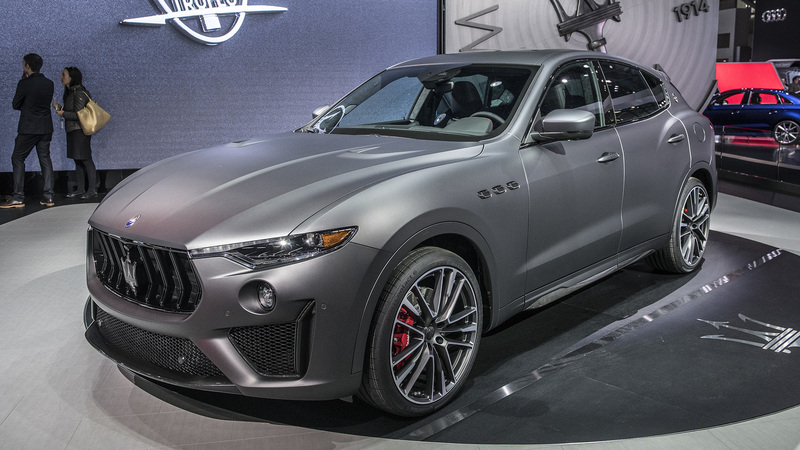 Maserati has announced that the company is ramping up it customization options by making Levante Trofeo SUVs that have been customized based on the preferences of Chinese customers. These SUVs will have features which have been developed based on the shopping behavior and customer preferences of car buyers in China and will only be available for purchase through Tmall, which is the largest B2C online marketplace in China. Tmall caters to the needs of over 600 million consumers and Maserati collaborated closely with the Tmall Innovation Center, Alibaba’s market-research division to learn more about what high-end Chinese consumers are looking for when they purchase a car. The 88 limited-edition Levante Trofeo SUVs which are meant exclusively for the Chinese market will be available for sale on Tmall when they are shipped from Italy early this year. Maserati said that it was able to learn more about the preferences of its online customers by working with TMIC, and was hence able we were able to gain a better understanding of the preferences of our online customers. This allows us to provide a more customized product and services for our customers. This is a brand-new experiment for the auto industry,” said Maserati. By analyzing customer preferences and their shopping behavior on Tmall, as well as conducting multiple rounds of surveys, TMIC was able to provide the century-old car company insights into their target audience in China. The plan was to launch these 88 vehicles based on that research with the aim of steering more Chinese customers to Maserati’s Tmall site. Maserati has collaborated with Tmall before and is the first car manufacturer in China to offer customers personalized vehicles based on insights regarding customer preferences. TMIC found that most people who buy luxury cars in China range in age from 25 to 34, are married with children, and generally have an annual salary of about USD 88,000. As they have families, they prefer to own an SUV that is spacious enough to accommodate the whole family. They would also prefer to own a multifunctional car that can tackle an urban work commute and off-road weekend trips with equal ease. While customers in other parts of the world prefer colors like white, black and silver, TMIC found that in China, customers prefer colors like yellow and red, as these two shades are considered to be auspicious. The Maserati Levante Trofeos in these two colors, as well as 22-inch tires, will be available only on Tmall. Based on preferences that they have demonstrated before, Maserati will be modifying its delivery experience and options for Chinese consumers. Customers will no longer have to come up with their own configurations and then wait for an average period of six months to pick up the car of their dreams. Now, they will have a chance to purchase a vehicle on Tmall that already has most of the specs they are looking for. Customers will benefit as there will be a significant reduction in the waiting time. Other leading brands have also collaborated with TMIC to conduct research and to develop products which cater more to the tastes of Chinese customers, and this has made a significant difference to their sales as China is the second-largest consumer market in the world. TMIC’s use of its analysis of Chinese consumer behavior is part of a new Alibaba strategy called “New Manufacturing,” or a customer-to-business (C2B) model that uses information regarding consumer preferences and feedback to develop and design products, instead of first developing products and then trying to have consumers develop a preference for them. In recent years, the sale of SUVs has picked up in the Chinese market thanks to the fast growth of its middle class community that now seeks to have better quality of life. Research firm Mintel said that SUVs were the fastest-growing passenger car segment in China last year with a 22 percent year-on-year growth, with sales reaching reaching 11 million units. In five years, sales are expected to increase by 65 percent to 28 million units. Mintel had reported that 58 percent of those who currently own a compact car in China plan to switch to an SUV in the future. A Euromonitor report said that one-third of luxury cars sold around the world are sold in China and hence China will play a key role in the marketing and growth strategy of luxury car brands. In 2017, sales of Maserati’s models in China had accounted for almost 30 percent of the brand’s total global sales and in March that year had reached a record high of 14,498 units. This marked a year-on-year growth of 18 percent and attests to the importance that the Chinese auto market has for Maserati.